Siemens is partnering with Amazon as it accelerates the rollout of its MindSphere industrial software platform, the core of its bid to dominate the market in digital factory automation. 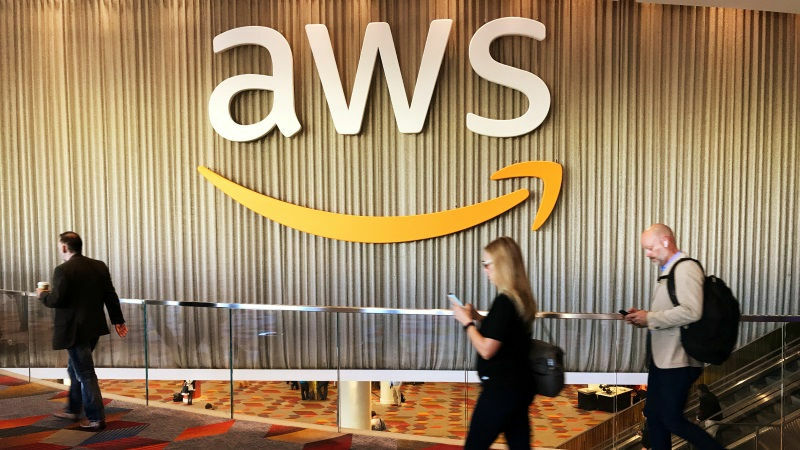 The German group’s next version of MindSphere, to be launched in January, will run on Amazon Web Services (AWS) – the most popular cloud system with industrial software developers. So far, MindSphere has run on the SAP cloud, and from April it will also run on Microsoft’s Azure. MindSphere gathers data from devices, analyses the information and uses it to help customers optimise processes. Attracting a critical mass of developers to work on the platform is crucial to improving the quality of software applications. MindSphere is one of a number of so-called Internet-of-Things platforms being developed by industrial companies racing to help their manufacturing customers improve productivity, where growth has been slowing in developed countries. The technology was thrown into sharp focus in August by Emerson Electric’s failed $29 billion (roughly Rs. 1,85,767 crores) bid to buy Rockwell Automation. The area is still in its infancy, with companies pursuing different strategies, although Siemens is generally considered to be leading the pack, helped by more than $5 billion (roughly Rs. 32,030 crores) of acquisitions in the past two years and by arch-rival General Electric’s partial retreat as it narrows focus. Siemens said it was targeting 1.25 million connected devices and systems by the end of its fiscal year in September, up from 1 million currently, as it expands its offering – previously focused on autos and aerospace – to cover all sectors. It is increasing research and development spending to over EUR 5.6 billion ($6.6 billion) this fiscal year from 5.2 billion last year, the lion’s share of which will go to its Digital Factory division. Siemens says it made EUR 5.2 billion in digital revenues in the year to September. It has 23,000 in-house software developers, rivalling some of the world’s biggest pure-play software companies. General Electric is reducing investment in its Predix industrial software platform by about $400 million (roughly Rs. 2,562 crores) this coming year to $1.2 billion (roughly Rs. 7,687 crores), and focusing solely on its own installed base of customers for the rollout. Under new Chief Executive John Flannery, GE as a whole is narrowing its focus and shedding businesses with around $20 billion (roughly Rs. 1,28,121 crores) in revenue. GE aims to double Predix revenues to $1 billion (roughly Rs. 6,406 crores) in 2018. With the 9i, Honor has a lot of firsts. For starters, this is the first device from the company to sport an 18:9 FullView display. It is also the first to launch with dual cameras at the back as well as the front. So how good is it in the real world? We got to spend some time with the Honor 9i at the company’s launch event and here are our first impressions. The device looks quite premium. It also feels solid and has a good heft to it. There’s a 13-megapixel primary camera along with a 2-megapixel secondary one on the front, while the pair on the rear consist of a 16-megapixel sensor and a 2-megapixel depth sensor. The camera bump on the back is positioned in the centre of the phone and protrude slightly. While it does seem to have a raised metal trim around it, we are curious to see how it holds up with regular use. Power the device on and the big 5.9-inch display fires up giving you the first indication of how thin the borders around it are. 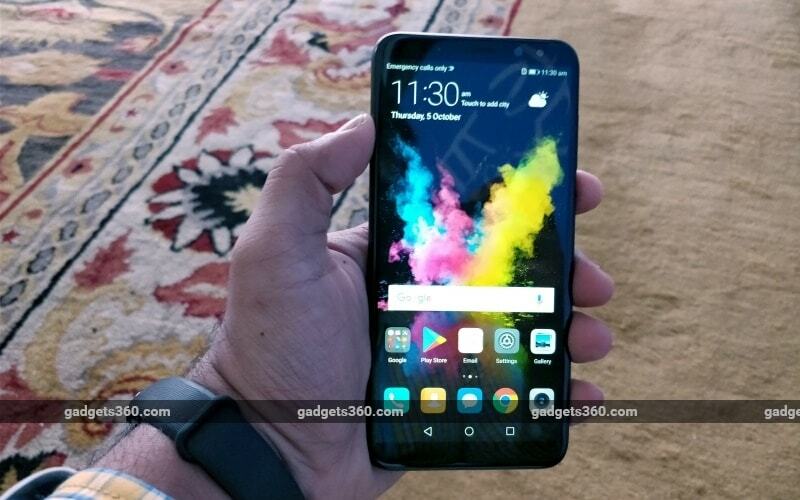 Honor has followed the current market trend and opted for an 18:9 aspect ratio for its display. The different aspect ratio results in what’s called FHD+ resolution which is 1080×2160 pixels. At the bottom of the phone, you’ll find an old-style Micro-USB port and a 3.5mm headphone jack along with the loudspeaker. Powering the Honor 9i is Huawei’sown Kirin 659 which is an octa-core processor. 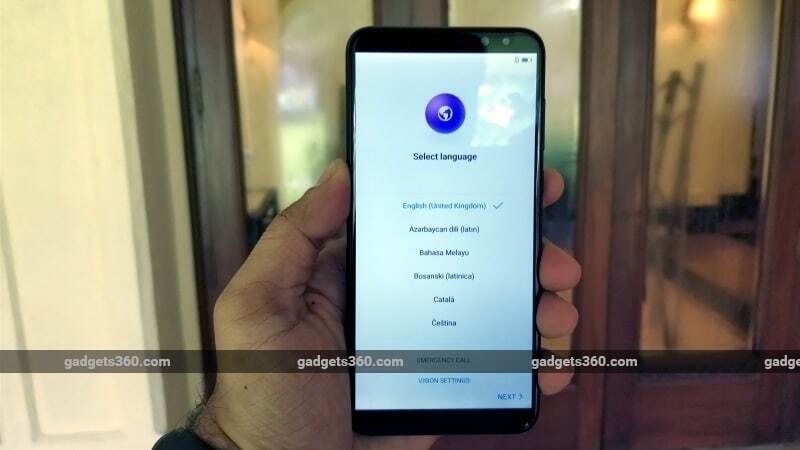 There is also 4GB of RAM and 64GB of internal storage which seems to be in line with similarly priced devices like the Xiaomi Mi A1 and the Moto G5S Plus. You do get the option to expand storage using the hybrid dual-SIM slot, at the cost of a second SIM. Honor has managed to cram in a 3340mAh battery which is good considering its thickness. In our brief time with the Honor 9i, it didn’t exhibit any abnormal drain or heating issues. However, we’ll hold our comments on battery life till we run it through our full review process. Once powered on, you are treated to EMUI 5.1 running on top of Android 7.0 Nougat. 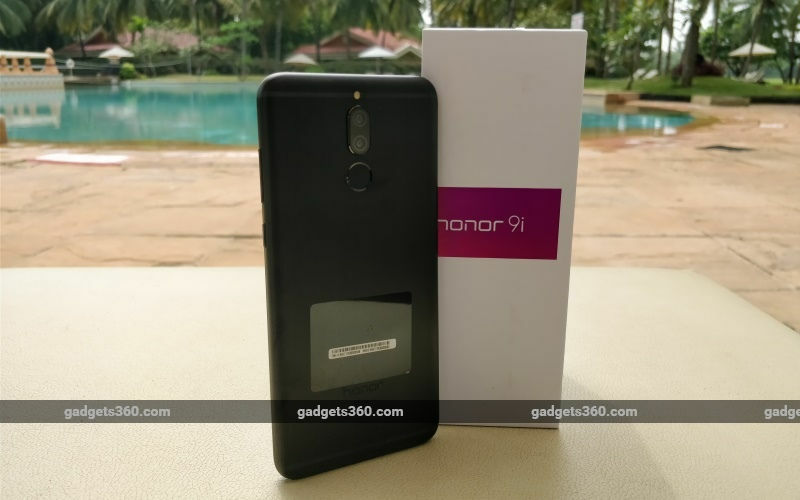 While the basic functionality of the OS is the same, Honor has added a few features. There are multiple gestures and shortcuts that can be used to get things done. Also, the higher resolution means that most apps will need to be stretched to make use of the entire screen. There is no doubt that the cameras are the highlight of this smartphone. With dual cameras on both sides, Honor is claiming that it is using hardware to create bokeh effects rather than software, which most other manufacturers use. We will test how much of a difference this makes when we conduct our full review. Priced at Rs. 17,999, it does seem that this phone offers good hardware. With an 18:9 display and four cameras, the Honor 9i could tempt a lot of buyers looking for new features to play with. Stay tuned for our review to see how well it performs in the real world. Disclosure: Honor sponsored the correspondent’s flights and hotel for the event in Goa. September was a big month for Xiaomi. The Chinese smartphone maker shipped more than 10 million smartphones last month across all the markets where it operates, Xiaomi’s chief executive officer Lei Jun said. A thrilled and happy Jun, who shared the announcement, thanked employees and partners. The company also reached a major milestone in India. Roughly three years after entering the nation, Xiaomi’s vice president and India head Manu Kumar Jain said the company had shipped more than 25 million smartphones in the country. The big jump in sales comes as people in South Asian countries including India begin to prepare for the festival season. In India, for instance, Amazon India and Flipkart have been cashing in on the festive season, giving customers lucrative discounts with sales past and sales to come. Xiaomi said last month it had sold more than one million handsets in just two days, a major improvement over its performance in the country last year, when it took 18 days to sell one million smartphones. Even as Xiaomi has always been known as a company which plays very aggressively, offering some of the best hardware at the price point, the company has appeared more focused in the recent months. 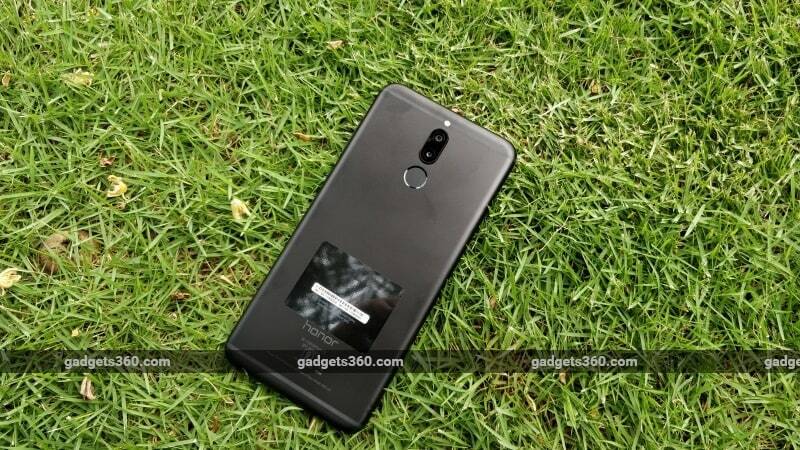 It recently launched the Mi Mix 2, a bezel-less smartphone, and Mi A1, its first Android One smartphone for markets like India. The recent development will help the company better compete with Chinese smartphone maker Huawei, which recently posted better sales than Apple. The company shipped north of 73 million smartphones in the first two quarters of this year, averaging more than 12 million handset shipments in a month. According to marketing research firm Strategy Analytics, Huawei shipped 38.4 million handsets in Q2 2017, while Oppo shipped 29.5 million handsets. 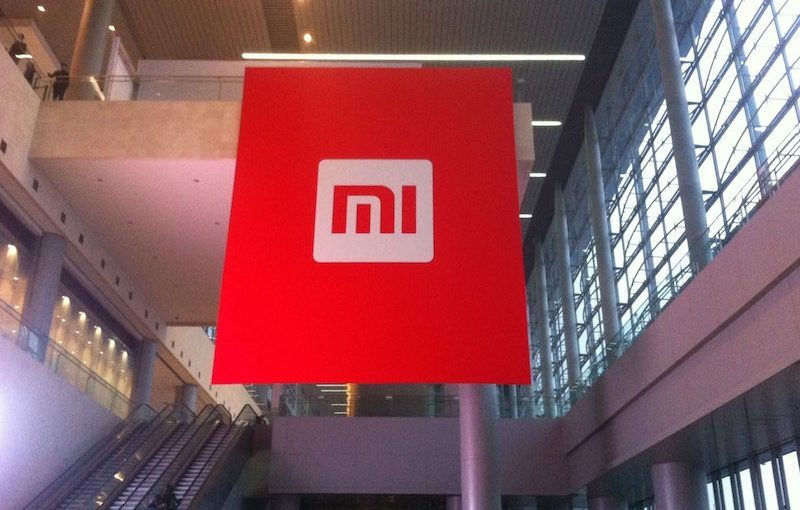 In comparison, Xiaomi had shipped 23.16 million handsets in the quarter that ended in June. 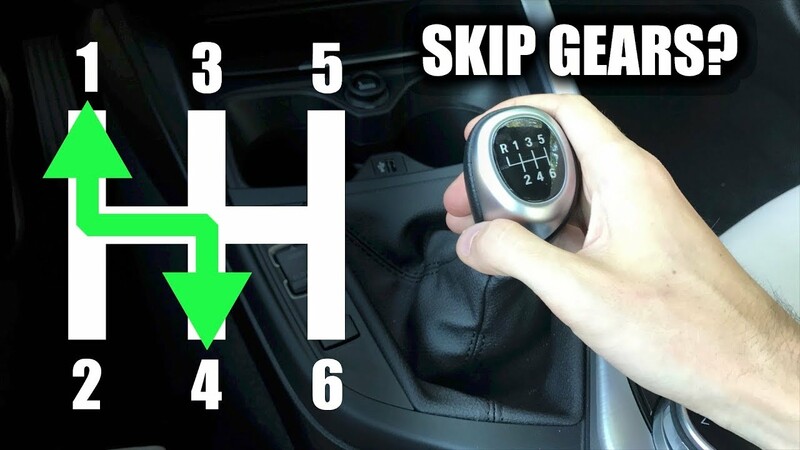 Is it okay to skip gears on a manual transmission? For those who daily drive a vehicle equipped with a manual transmission, it’s likely a common practice. Rather than rowing through all five or six gears, drivers will skip from third to fifth, fourth to sixth and so on. But is this practice safe to do? 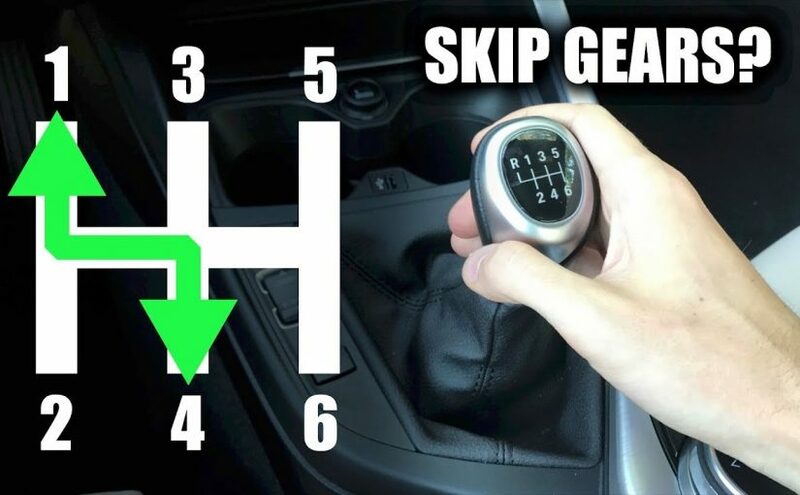 Engineering Explained tackled the common practice in its latest episode and the short answer is yes, it’s perfectly okay to skip gears when upshifting or downshifting. However, both practices should be undertaken with a little bit of background knowledge. For those who have years of experience working a manual gearbox, this may seem like common sense, but for others it’s good information. When skipping a gear with a manual transmission, it should be noted the revs will take slightly longer to drop from the high revs to the lower revs. If you shift from third to fifth gear and let the clutch out at the same speed as normal, the car will jerk as it works to settle the unbalance. Instead, waiting just a tad longer to let the clutch out will keep things matched equally as the gearbox moves to meet a lower rev level. When down shifting, it’s a little more tricky. Rev matching is essential when shifting from a low to high gear. For example, if you’re driving along the highway and you want to pass a slower moving vehicle, a shift from fifth to third may be in order. Rev matching the engine to the clutch will keep the car from jerking, and in the worst case, locking up the wheels. When the clutch speed and engine speed meet, they should be in near-perfect harmony. Plus, no one looks good under revving a car while down shifting. Clutch wear will also creep up on you, too. Finally, another common question is answered: can you start moving from a standstill in a gear other than first? Again, the answer is yes, but it’s going to cause slightly more clutch wear. In first gear, the clutch can be completely released at a lower speed, while in second gear, it takes longer for the engine and clutch to match. It’s not an ideal thing to do, but there aren’t detrimental side effects either. With all of this said, happy shifting.